Camard, Florence. Ruhlmann: Master of Art Deco. Bivins, John. The Furniture of Coastal North Carolina, 1700-1820 (FRANK L HORTON SERIES). From The Foxfire Book to Rachel Ashwell's Shabby Chic Treasure Hunting and Decorating Guide, from	Victorian Furniture Essays From a Victorian Society Autumn Symposium to Country Pine Furniture, we can help you find the homes & houses books you are looking for. As the world's largest independent marketplace for new, used and rare books, you always get the best in service and value when you buy from Biblio.co.uk, and all of your purchases are backed by our return guarantee. Foxfire 2: Ghost Stories, Spring Wild Plant Foods, Spinning and Weaving, Midwifing, Burial Customs, Corn Shuckin's, Wagon Making and More Affairs of Plain Living The "Foxfire" books began as a student-produced magazine in 1966 that contains stories and interviews from elders in their rural Southern Appalachian community. The books are anthology collections of material from The Foxfire Magazine , edited and published by Eliot Wigginton. 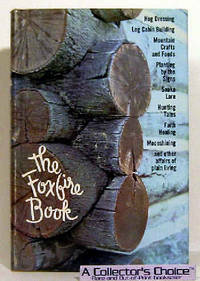 Foxfire 4 - Water Systems, Fiddle Making, Logging, Gardening, Sassafras Tea, Wood Carving, and Further Affairs Of Plain Living The "Foxfire" books began as a student-produced magazine in 1966 that contains stories and interviews from elders in their rural Southern Appalachian community. The books are anthology collections of material from The Foxfire Magazine, edited and published by Eliot Wigginton.